Google recently published a “new and improved” AdWords Policy Center in an effort to make their policies more user-friendly, accessible and engaging for anyone involved with AdWords. But these changes may also cause your remarketing lists to be suspended based on your products and services, for example, these professions are potentially at risk: lawyers, doctors, surgeons and other medical professionals. Check out this blog for an introduction to the world of remarketing. So why did Google change their policies? Many experts and industry insiders blame the media coverage of Google’s recent issues in Europe and Canada regarding users’ privacy. Others believe it was simply the next step in the constant battle for online privacy for internet surfers. But what can you do about the sudden changes? If you were about to create a new remarketing list with the same parameters and hope it’s either been a random error or perhaps you’ve done a little more research and are wishful that you’ll slip through the filters’ cracks, think again! In order to retarget to this audience, one must be able to think around the barriers set in place by Google and target those users while they peruse other websites online (think social networks, social advertisements, content outreach [promoting thought-leadership], and many others). In the last year, both Facebook & Twitter have started offering brands the ability to target users that have previously viewed your website (or specific pages of your website). This means that you will be able to advertise your product and services to individuals that have previously visited your website, through these social platforms. 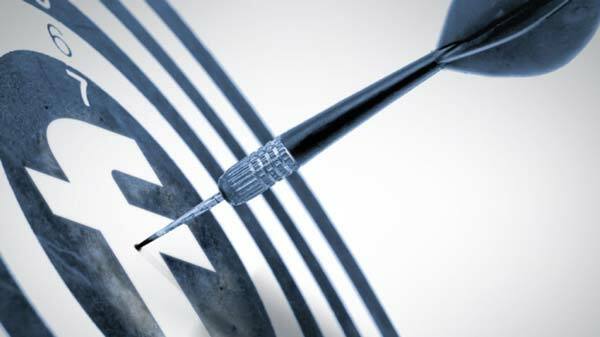 There are a number of factors to consider when retargeting visitors to your website. Carefully consider the potential “creep” factor that you may or may not be acclimated too. The easiest way to do this is by setting up a frequency limit so your campaigns aren’t constantly displaying advertisements to the same individuals. Think marketing, not “stalking”. Decide if you want to display ads to all site visitors of your site, or to those who have landed on a specific page of your site. Or, maybe you’d like to target a sub-audience that has visited your website and is also close to your business. The ability to customize your audience is all possible through targeting methods. Determine whether or not to continue to retarget visitors that have already completed a conversion on your website. You don’t want to remarket an email newsletter to a person that has already signed up for the newsletter, and similarly, a law firm may not want to remarket to visitors that have filled out lead forms. That being said, it may be a good idea to “negative list” this particular type of visitor. This process can help you streamline – and potentially reduce – your ad spend and allow you to better (re)target an audience that has not yet completed a conversion. Retargeting also puts your brand at the top of your audiences’ minds. Note: Facebook offers the ability to target users based on their email addresses, therefore, if you have a list of subscribers to your email newsletter you can easily retarget them on Facebook or create a look-alike list of targets that can expand your reach. Get creative with your retargeting and remarketing efforts! By combining your website’s visitors list with social interests and/or topics, you will begin to see which combination works best on each social channel. A good way to understand how your ads are impacting your social audience is through tools like Facebook’s Page Insights, Twitter’s Follower Analytics, and third-party analytics software like Moz’s Followerwonk (Twitter), Agora Pulse (Facebook), WiseMetrics (Facebook), and many others. These tools give you the ability to better target individual fan/follower segments by allowing you to see who your audience is and what their interests are. Have you had success with a retargeting campaign? If so, we’d love to hear about it.